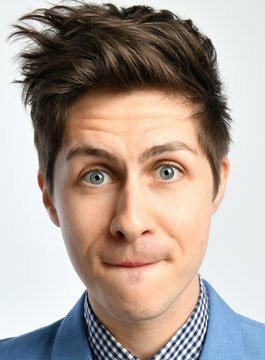 Ben Hanlin is one of the UK’s leading comedy magicians. Ben is best known as the star of the ITV2 hit show ‘Tricked’. Ben can be seen on screen tricking unsuspecting members of the public and shocking various celebrities with his own special brand of cheeky magic, close-up conjuring and mind games in a ‘Candid Camera’ style. Tricked had viewing figures of over 1.7m per show. Ben Hanlin has starred in the world’s best-selling touring show ‘The Illusionists’ and recently performed on ITV1’s ‘Live at the Palladium’. He became an overnight sensation debuting his incredible tricks as Magic Boy on You Tube, amassing over 900,000 views on You Tube! Apart from appearing in three series of his own TV Show, Tricked, Ben’s other TV appearances include Celebrity Juice, Live at the Palladium, BBC Breakfast, This Morning, Good Morning Britain, Soccer AM and BBC One Sport Relief. Ben has also hosted his own show on Capital FM. Corporate clients include The Mail Online, PWC, Discovery Networks, Samsung and the World Branding Awards. The fusion of magic and comedy is what makes Ben Hanlin so different and successful. Ben can deliver highly detailed close-up magic, or astounding large-scale illusions all with his unique sense of humour to suit any event. Ben’s 20 – 30 minute corporate stage show is jaw-droppingly playful, fresh and laugh out-loud funny. Whether it is a big conference, small reception or an intimate company meeting, Ben can turn any corporate event into unique occasion. Ben can also deliver a motivational team-building workshop – How to Create the Impossible: The Mass Magic Lesson. Everyone wants to know how magic is done! in this team building experience TV magician Ben Hanlin pulls back the curtain and teaches a fantastic card trick ON MASS! By the end of this experience everyone will be able to amaze their friends and family for years to come. • Ben warms the audience up with some of his award winning magic. • Ben performs the card trick the audience will be learning. • Ben teaches the trick (Note: Everyone will be equipped with a deck of cards branded for that event). • Ben explains other key skills that are required to become a great magician such as; how to engage with an audience, how to make the impossible happen, creating a clear narrative when presenting – These skills can be tailored to fit the overall goals of the conference. • Finale – Ben welcomes three volunteers onto the stage to perform their versions of the trick to the audience. This is a great way to end as it makes the delegates the stars of the show. As an experienced presenter and broadcaster Ben is also available to host award ceremonies and other live events.